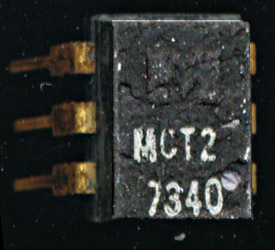 very useful as a semiconductor for light emitting diodes. This is what Monsanto set out to make, hoping to having other companies build the LEDs from the GaAsPh they produced (which is how HP started into the LED display business). 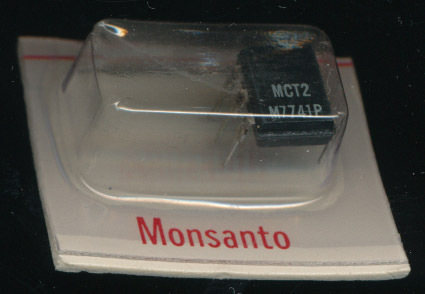 Monsanto made LEDs. 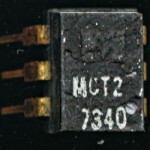 and opto-electronics, becoming one of the pioneers of the industries, in the first few years of production, sales were doubling every few months, making it a very profitable industry. 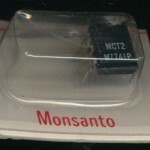 By the late 1970’s every one was making opto-electronics and LED’s wither with patents licensed from Monsanto, or with processors of their own design. As profit margins dwindled, Monsanto sold off the division to General Instrument, exiting the LED business in 1979.